Light, Bright and airy, the soft tones of this clean and modern styling make any house to be proud of whilst rejecting the rigours of life. 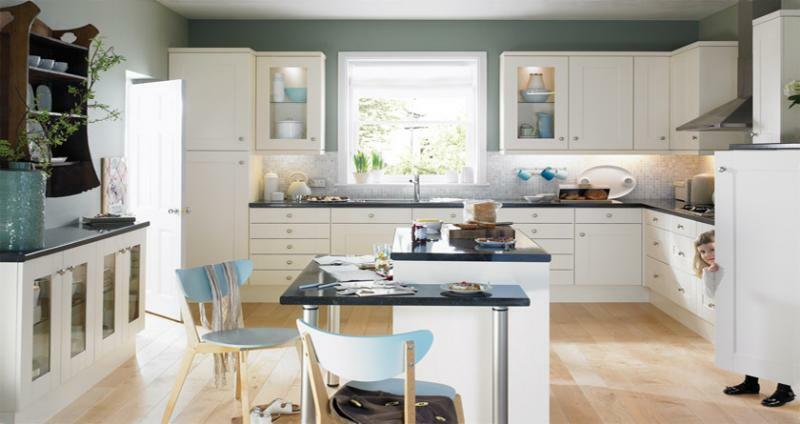 Flaxley has established itself as a clean and stylised shaker door. 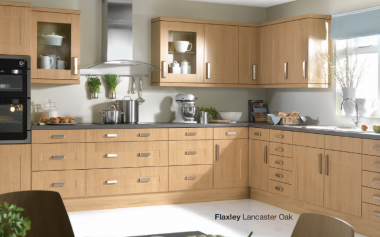 Flaxley Lancaster Oak brings the essence of tradition in the most modern of formats. Eco Kitchens headquarter and factories are sited on the edge of some naturally beautiful countryside and close to wind farms, contributing to the eco friendly power we all use. The region boasts an eco friendly recycling of over 80% of all waste taken to them. The Eco Kitchen range is produced in conjunction with conscientious suppliers, board and manufacturers. In an imperfect world, its a start and every little helps.